One of the most common problems with drawing is the affliction of skewed-looking objects. The crooked look to a drawing may remain unforeseen until the drawing is well under way. The solution is to practice drawing symmetrical objects freehand without any drawing aids. Symmetry can be found in many objects including ornaments, tools, creatures and art. I believe that students with low drawing ability lack visual awareness of one or more quadrants of the visual field, whether this is the left, right, top or bottom of a page. This results in a drawing that appears to lean to one side, or to be placed too far on one corner of the page. Common problems are: teapots that appear to lean to one side, lob-sided ellipses, squashed-up edges of portraits or animal drawings. 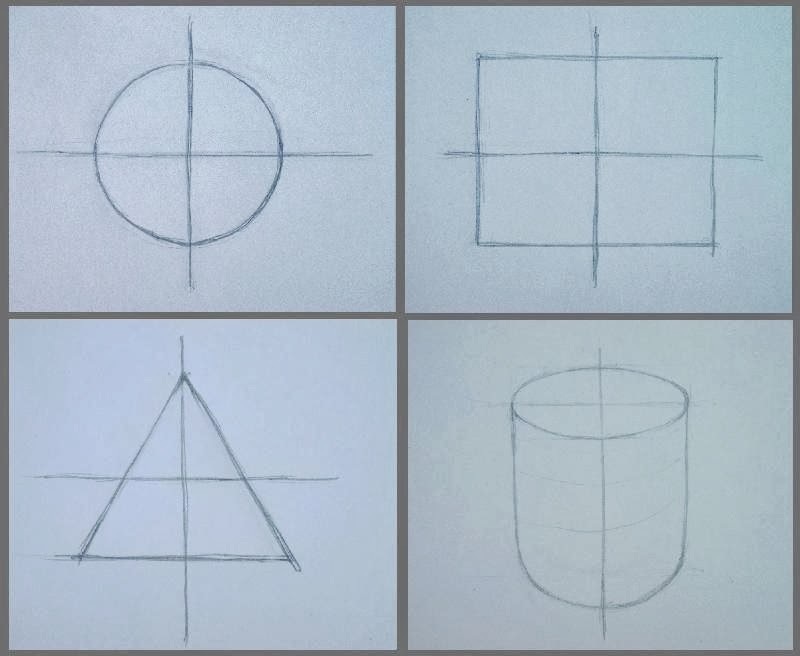 Countering skewed drawings can be aided by the practice of symmetrical drawing freehand. 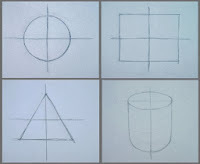 Try practicing drawing simple symmetrical objects such as circles, squares and triangles. The challenge is not as easy as it sounds. Rulers and compasses are not permitted, but the rendering of freehand and the use of the naked eye. The aim is to practice how truly horizontal a line is; how perfectly curved an arc is or to judge the location of the central point of an object. Students that may benefit most from this drawing lesson are those that find it difficult to visually judge if a mirror is hung straight on a wall or similar. Perfectly symmetrical drawings are not possible without being able to make accurate visual judgments. How close to horizontal a line is. How close to vertical a line is. If one side of a symmetrical drawing truly mirrors the other. How central to the page the drawing is. How equal each quadrant of the drawing is. To judge a central point in the drawing. How straight a line is. The clip also shows how I drew a near-perfect rectangle and triangle. This is followed by a step by step demo on drawing a circle as perfect as possible. 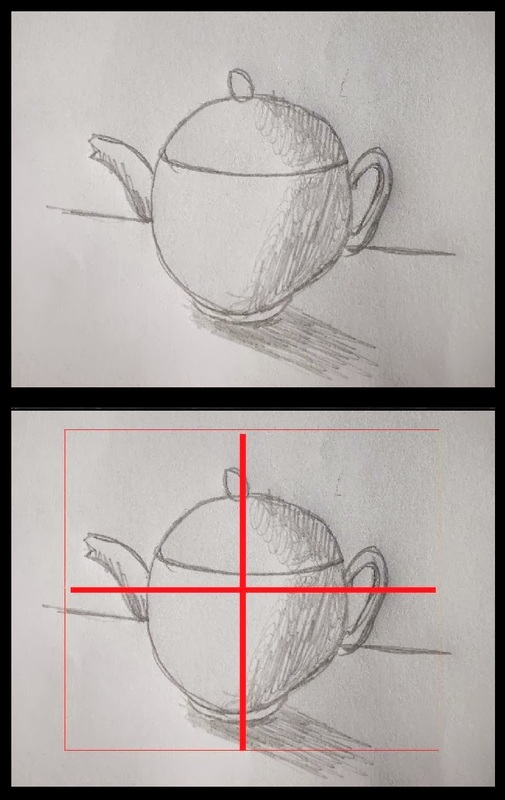 Accurate visual judgments of such drawing elements will guard against a skewed drawing in the future, even if the object drawn is not symmetrical. This is because every drawing ideally should inhabit a good portion of the page, be centrally placed and has roughly equal amounts of space around the drawing. 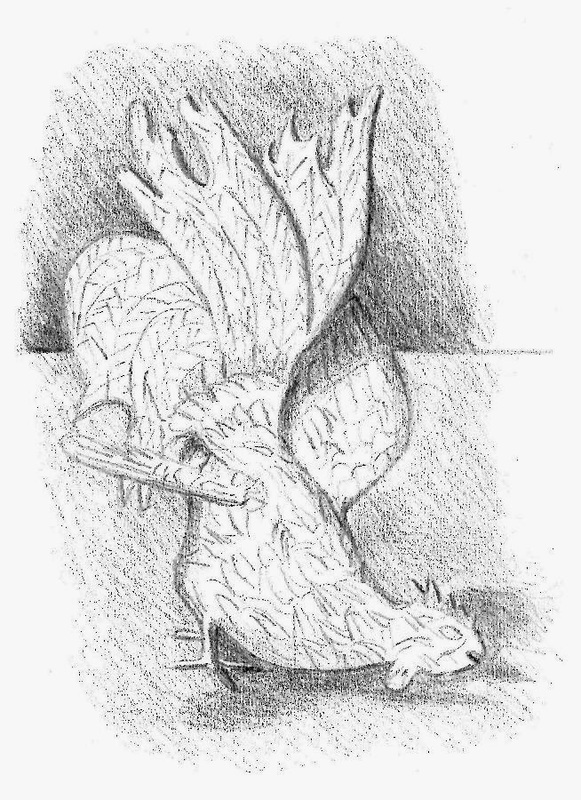 This can be seen in the drawing of the cockerel. More challenging shapes can be practiced if need be. Drawing simple shapes larger will also be more challenging than drawing them small.